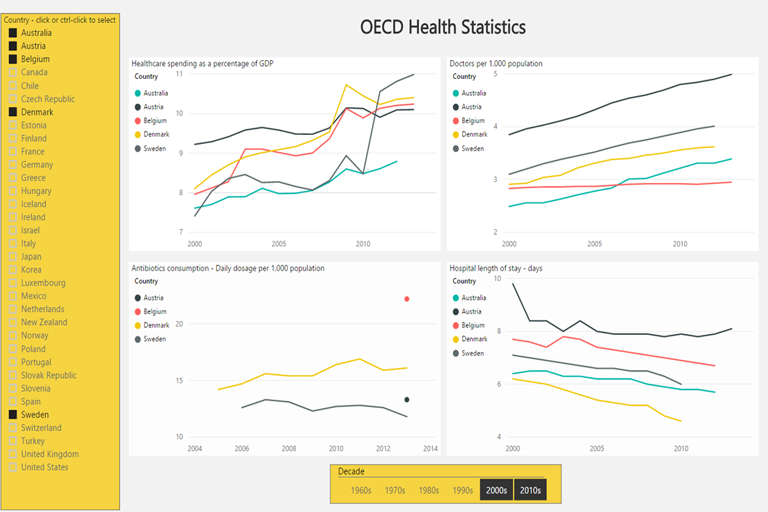 Manga Solutions have integrated a range of OECD Health Statistics into a powerful and informative Power BI Report, providing visualisations of over 1,000 health measures covering 40 countries. While I enjoyed that insight into a fascinating and important comparison, the data visualisations left me a bit frustrated with the difficulty in comparing countries, and their tiny size. 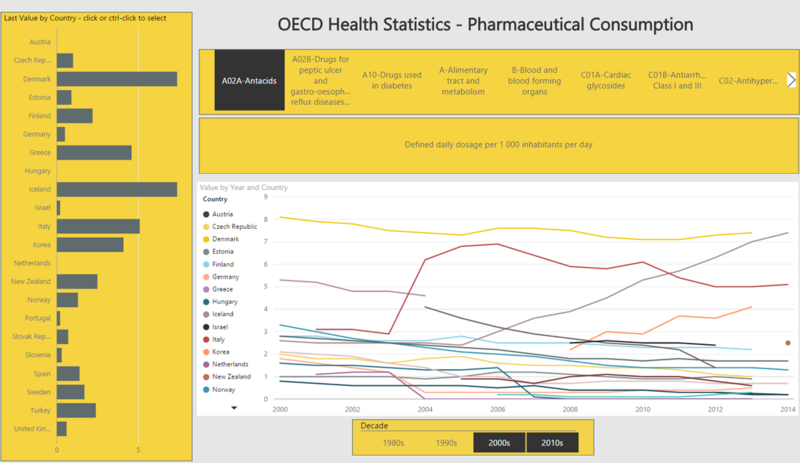 Hopefully you will enjoy surfing these Power BI visualisations with more interactivity and larger, clearer charts. 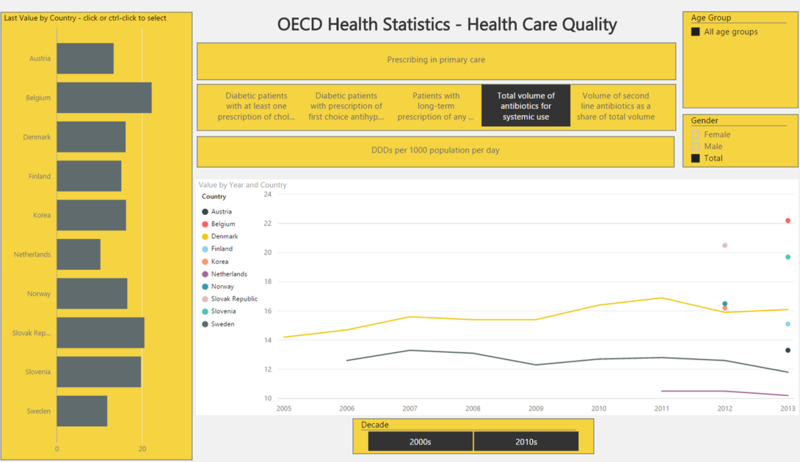 So far I have loaded around over 1,000 measures for around 40 countries.